Warm air holds more moisture than cold air and the humidity related to temperature has an affect on the wood -- and sound -- of a violin. The hygroscopic, or moisture-absorbing property of wood, means it expands in warmer, more humid air and contracts in colder, drier air. Expansion and contraction lead to sound disturbances such as buzzing, sluggishness, dull tones, and pegs shrinking or expanding. Different parts of the violin are pieced together from different types and grains of wood, which may react differently to humidity. Extreme temperature changes -- and low humidity because of indoor heating -- can cause more serious problems such as new cracks or repaired cracks opening, seams separating or the entire top of the instrument coming loose, which affects the integrity of the soundpost. Warm temperatures affect the friction between the bow and the strings as the bow hair stretches; increased humidity may cause the bridge to swell, raising the strings higher from the fingerboard. This makes it harder to depress the strings enough to get a clear sound. In colder -- and drier -- temperatures, the opposite happens; as the wood shrinks and tightens, the strings may rest almost on the fingerboard and again, good, clear sound is difficult. You may need to swap a summer and winter bridge to compensate for seasonal temperatures. The pegbox is one area where you can track temperature changes. Pegs swell and stick in warm, humid environments; they contract and slip in colder, drier temperatures. Peg lubricants, rewinding strings and peg chalk can offset problems from temperature change. 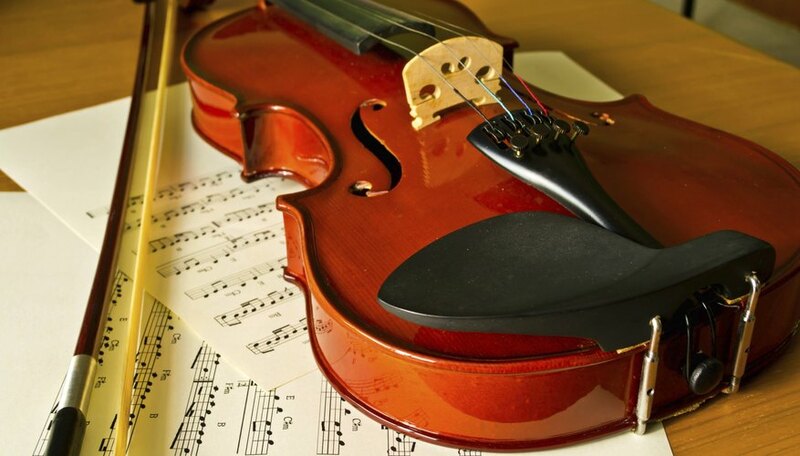 Scientific American: Does Temperature Affect the Sound of a Musical Instrument? How Do Temperatures Affect Guitars?